In our cozy little corner of the world, we often overlook the luxury that is plumbing in the 21st century, taking for granted that with the pressing of a lever, our waste magically disappears down a dark hole, leaving us free to focus on the conundrum of which filter to use for our third Snapchat selfie of the day. Not all societies have such extravagances, of course, though they deal with it in their own ways. However, proving the callous indifference that many of those blessed with modern-day plumbing have for a foreign place of visit with a lack of such opulence, Nepal warned that Mount Everest faces a human waste problem from climbers — meaning that the highest peak in the world, one of Mother Nature's greatest feats, is covered in poop and pee by the very people attempting to conquer it. Climbers usually dig holes in the snow for their toilet use and leave the human waste there. As any outdoorsman will tell you, waste should be properly disposed of in a hole dug in the ground, or "catholes," which many of Everest's climbers have done — commendable if not for the fact that the mountain in covered in snow, not dirt, and human refuse is left lying frozen beneath a pile of snow, never decomposing, never truly returning back to the earth. It is a health hazard and the issue needs to be addressed. On top of the biological waste left behind, trekkers also have a knack for abandoning their garbage along the route, thus earning Everest the title of "the world's highest garbage dump" for the tons of food packages, broken tents, and empty oxygen cylinders that that cover the landscape. 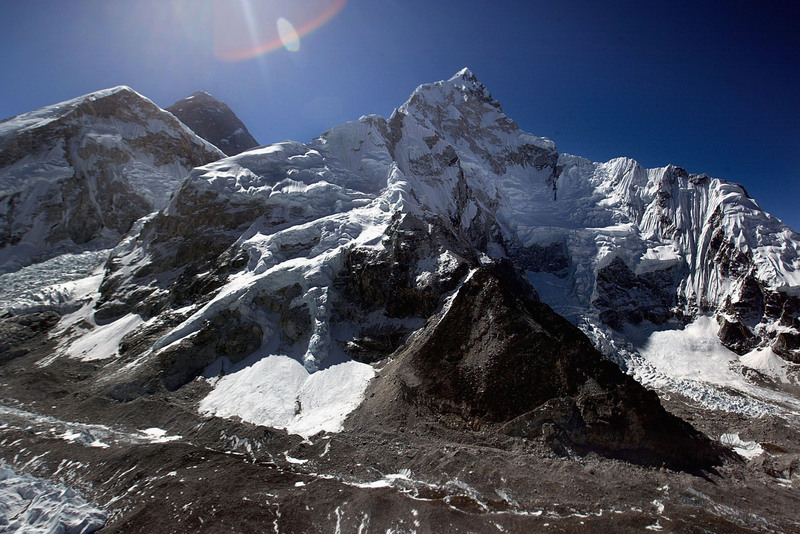 Nepali officials have since instated new rules on climbers requiring them to carry their trash back down that they will enforce beginning this year, but Tshering said that the Nepalese government has yet to take actions to tackle human waste on Everest.